The best thing the Jets have going for them in this matchup is the injury to Ryan Tannehill. Brock Osweiler is a conundrum at quarterback. He’s built like a prototypical pocket-passer, but has never found consistent success. Osweiler will also be without Albert Wilson, who was having a very productive season. Danny Amendola has been Danny Amendola, consistent but not a game-breaker. That leaves Brock with Devante Parker and Kenny Stills, who are talented players without sustained success. It was well publicized that the Dolphins started the season 3-0. Well, they’re 1-4 in the last five weeks, in large part because of their defense coming back down to earth. During that span, the Dolphins allowed 27 points or more each week. Their defensive line is strong with Akeem Spence, Cameron Wake, and Robert Quinn. However, they have not played up to their talent level and rely on their depth. Their best defensive back, Xavien Howard, is nursing an ankle injury and has not played as well the last few weeks. Overall, the Dolphins rank 27th in Total Defense, which bodes well for Sam Darnold. The Jets are ranked 24th in Total Defense, but that doesn’t tell the whole story. According to Pro Football Focus, the Jets grade at 7th defensively. This is highlighted by 4th ranked pass-coverage play, and an 11th ranked run defense. It’s clear while watching the Jets that they play well for the majority of the game, and suffer against the big play. The Dolphins aren’t currently constructed for big-play potential, ranking 23rd in the NFL in total passing. Will the Jets Pull It Off? The Jets are going down to Miami, so they won’t be facing a home-field advantage type of crowd. They lost to the Dolphins on their home turf in an ugly, one-possession game. The Jets want revenge and know that this is a must-win opportunity. 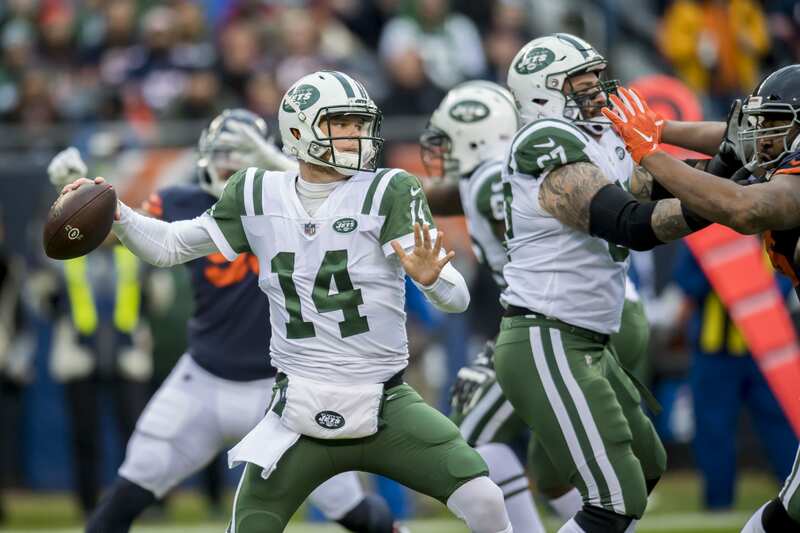 The Jets will try to control the clock and dictate the game, leading to a close victory.